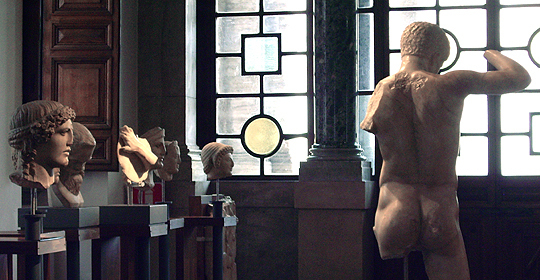 This was the lower part of an Attic stele dated to the last decades of the 6th century B.C. The only remaining parts of the deceased’s image, which must have occupied the main section of the relief, are his feet and the tip of his lance. 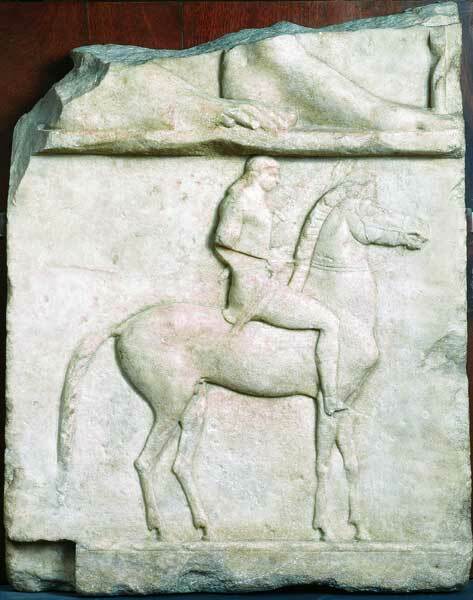 The little horseman who appears on the lower part of the stele would have been the dead man’s squire. The stele was found in Rome, outside the Salaria Gate, in the area of the Horti Sallustiani.